Transport Mobile Application is communication link between passengers and land transport companies for marketing their trips and spread their information to their clients to facilitate their booking. Land Transport Services Companies, using our software (Land Transport Transactions Management Software). To add special settings in Land Transport Transactions Management Software server for utilizing the application in their corporate identity with their clients. Download the application from mobile Apps Store. To be used online and linked with Transport Transactions Management Software in the company for updated data. 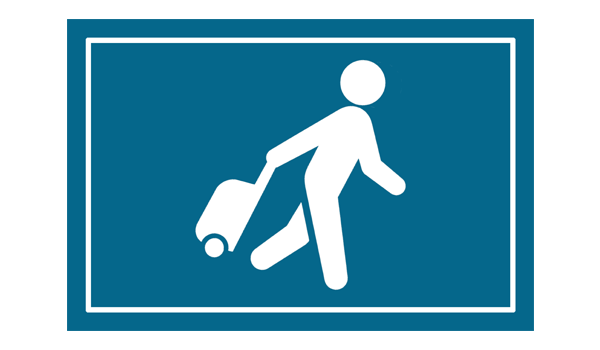 Display the routes and crossing-points of the approved trip in Transport Companies trips. Check trips time, day, date and available seats. Know the place of trip start, crossing-points and final destination. Show the user identity: company name, logo and other data. 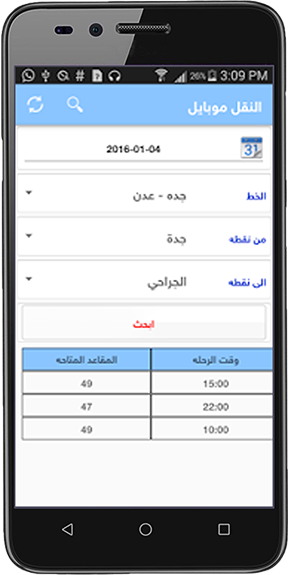 Provide trips data via available trips schedules or by customized searching. The application links with Transport Transactions Management Software in the company to provide accurate data whenever the user needs.